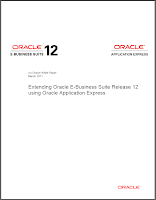 The Oracle E-Business Suite and Oracle Application Express teams are proud to announce the release of the Extending Oracle E-Business Suite Release 12 using Oracle Application Express white paper. Oracle E-Business Suite delivers a wide range of functionality to handle core areas of your business processing needs. However, there are situations where you want to extend your information systems beyond the range of Oracle E-Business Suite. Many times these necessary extensions are meant to handle unique industry conventions, specific customer requirements, or perhaps to offer some other competitive edge. Sometimes these change requests are simple enough, but other times more extensive customizations are needed. In these scenarios, Oracle Application Express, also known as Oracle APEX, provides an easy way to create supplemental applications that are easily integrated with your Oracle E-Business Suite and its data. 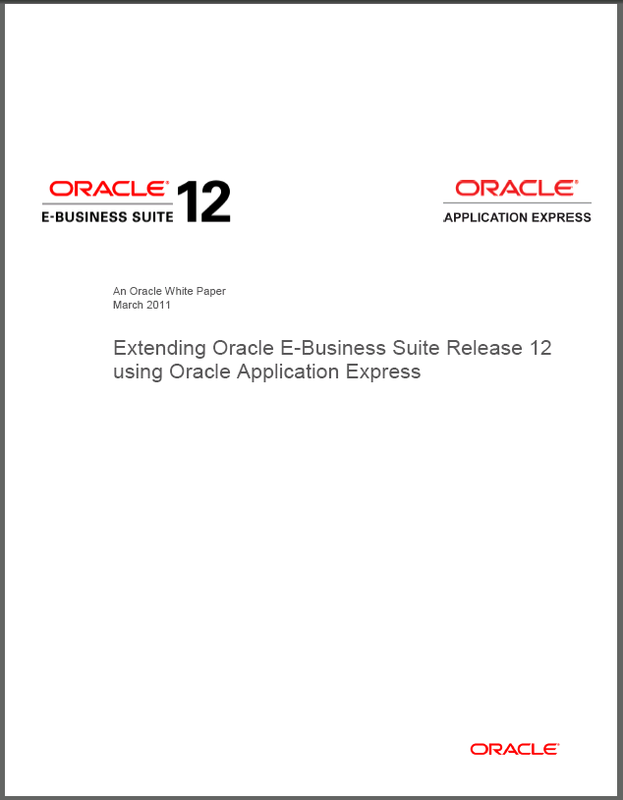 This paper outlines how to extend Oracle E-Business Suite 12.1.3 (and up) functionality using Oracle Application Express. Recommended architecture and security considerations are discussed in detail.